Synopsis: Robert Von Helldorf (Lionel Atwill) is a wealthy man whose beautiful daughter Irene (Gloria Stuart) is just turning 21. Three would-be suitors have gathered at the Helldorf estate, partly to wish Irene a happy birthday, but mostly to elbow their romantic rivals out of the way. Thomas Brandt (William Janney) is the youngest, and brashly asks Irene to marry him the moment the two are alone together. He says that he’s not a decorated officer like Capt. Walter Brink (Paul Lukas), nor a worldly newspaperman like Frank Faber (Onslow Stevens). But gee whiz, he’s quite sincere, and seems crushed when she takes his proposal less than seriously. It is a dark, windy night, an ideal night for ghost stories, Frank jokes; and in that spirit Thomas brings up a legend associated with the Helldorf estate — the mysterious Blue Room, which has been locked for 20 years because of a curse. Robert is reluctant to discuss it at first, but finally admits that the room has been closed for two decades after a series of mysterious deaths took place there. Hoping to impress Irene, Thomas proposes that each of the men test their bravery by spending a night alone in the Blue Room. Thomas will go first; then Frank the next night, and then Walter. So it is agreed; that very evening, Thomas retires to the Blue Room. But when Frank and Walter knock on his door in the morning, there is no answer. Breaking the lock on the door, they find the third-story window standing open. Thomas has disappeared. Helldorf implores the others not to bring the police into the matter. They search the grounds and, finding no trace of Thomas, they decide that Frank will spend the night in the Blue Room. But this time, he will be prepared: he loads a revolver that he keeps with him. Just after 1 am, Walter and Irene hear a gunshot from the Blue Room. Rushing inside, they find Frank dead of a gunshot wound. But when Walter examines the revolver Frank had been carrying, he finds that no bullets had been fired from it…. 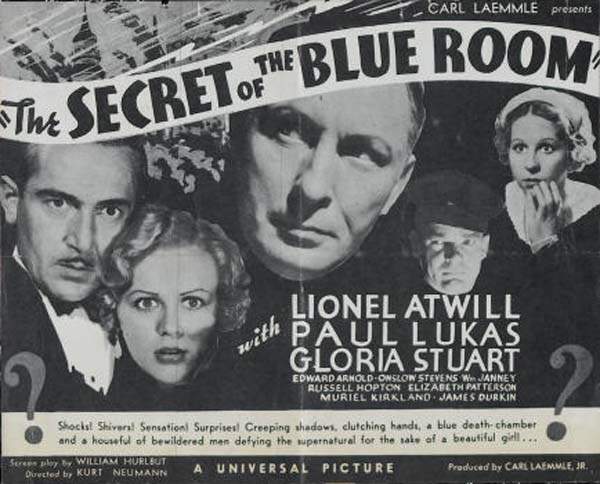 Comments: Like all of Universal’s horror films of the early 1930s, The Secret of the Blue Room boasts impressive production values and a solid cast. Its screenplay (derived, apparently, from countless Victorian mysteries) sports a locked-room puzzle that you will probably figure out immediately, in spite of an enormous number of red herrings — some completely nonsensical — that are thrown into the mix. Nonetheless, it’s an enjoyable movie. 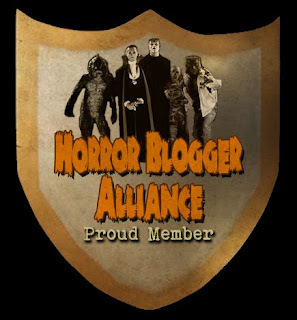 It has the kind of agreeably spooky atmosphere you want to find on a late-night creature feature, and it’ll hold your attention. As a bonus it takes place in a castle complete with suits of armor and secret passages, and I’m a sucker for that kind of stuff. I suspect I live in a house with a number of secret passages, though none that I have managed to discover yet. After many weeks of complaining that Lionel Atwill is given short shrift, I’m happy to report that he gets a larger role here, as Robert Helldorf, a loving father who is hiding many secrets. This is Gloria Stuart’s second Horror Incorporated appearance, and I must confess that she is not growing on me. When you consider that the whole movie turns on the obsession that three men have for Irene, it’s obvious why Stuart is woefully miscast. She comes across as a tremulous, simpering cipher — which shouldn’t surprise us, since that’s exactly how she portrayed Flora in The Invisible Man. The movie was also made in an era where Paul Lukas, not exactly a lantern-jawed action man, can credibly be cast as the lead. I found it somewhat refreshing that the leading man doesn’t precisely look like one. Lukas was something of a valuable commodity in the early days of talkies: a veteran stage actor who also had appeared in silent films. In spite of an improbable ending, The Secret of the Blue Room holds up pretty well, and it should come as no surprise that Universal remade it twice over the years — first as The Missing Guest and later as Murder In the Blue Room. Gloria Stuart made a far greater impression in 4 minutes screen time in James Whale's THE KISS BEFORE THE MIRROR, but then again, any actress who takes off her clothes on camera couldn't fail to be noticed! She became bored with playing weepy heroine roles in this film and THE INVISIBLE MAN, and left Universal for Fox, who immediately cast her in the weepy heroine role in THE PRISONER OF SHARK ISLAND! (oh the irony) Lionel Atwill makes his Universal debut, amidst the busiest year of his career (MYSTERY OF THE WAX MUSEUM, THE VAMPIRE BAT, MURDERS IN THE ZOO, and THE SPHINX). A remake of a 1932 German feature (GEHEIMNIS DES BLAUEN ZIMMERS), itself remade twice: in 1938, THE MISSING GUEST provided moronic behavior in place of the original film's quietly eerie atmosphere, while 1944's MURDER IN THE BLUE ROOM buried the story under comic asides and musical numbers (still superior to TMG). 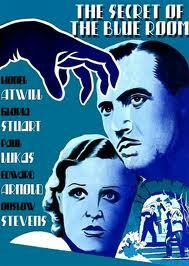 All three had different conclusions, but the remakes added a homicidal, blackmailing doctor character who didn't exist in the 1933 original, the only one where the blue room really does come across as a foreboding place.